So basically this is a game to play here where everyone will write a story. You will be given the first half of a sentence, and then you finish it. Then you continue the story by leaving the first half of a sentence for the next user. ... in a land far in the heavens, ruled by Hades, the war was close to an end. This isn't part of the story. 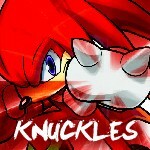 Knuckles wrote: ... in a land far in the heavens, ruled by Hades, the war was close to an end. ...dude with a shotgun went ballistic. ...he decided to buy a hot dog. ...was really a chilli dog. ...is disgusting if the chili includes beans. ", Viridi said. ..her personal tempura wizard, thelegendoflink. ...voice make sure he was heard. ...call the police, but then he remembered that he's a god. ...hit thelegendoflink, but then he tripped. ...a lone arrow soared through the air, piercing Hades' arm. ...Link, whom thelegendoflink was impersonating. ...with his first silver arrow. ...was stolen from Palutena herself! ...Tricoloryoshi fits into this situation. ... Wonders what in the world is happening in this story. @3Dash Really? You had to edit his post? ...Mario warps out of a pipe, and chucks Tricoloryoshi into the nearest possible pit, the Underworld. @Knuckles I edited his post because he said to. He basically said I don't know what to put here for the beginning of the next sentence, so someone with mod powers edit it please. I'm 100% serious. ...watched as Tricolor fell into the pit. @3Dash I believe you. The reasoning you put made me think you didn't like his comment. .... he was really Happy Mask, master of disguise with any mask. ...Luigi came out of it, postponing Happy Mask's getaway.